Please contact if you wish to register for the reception or need to amend an existing registration. 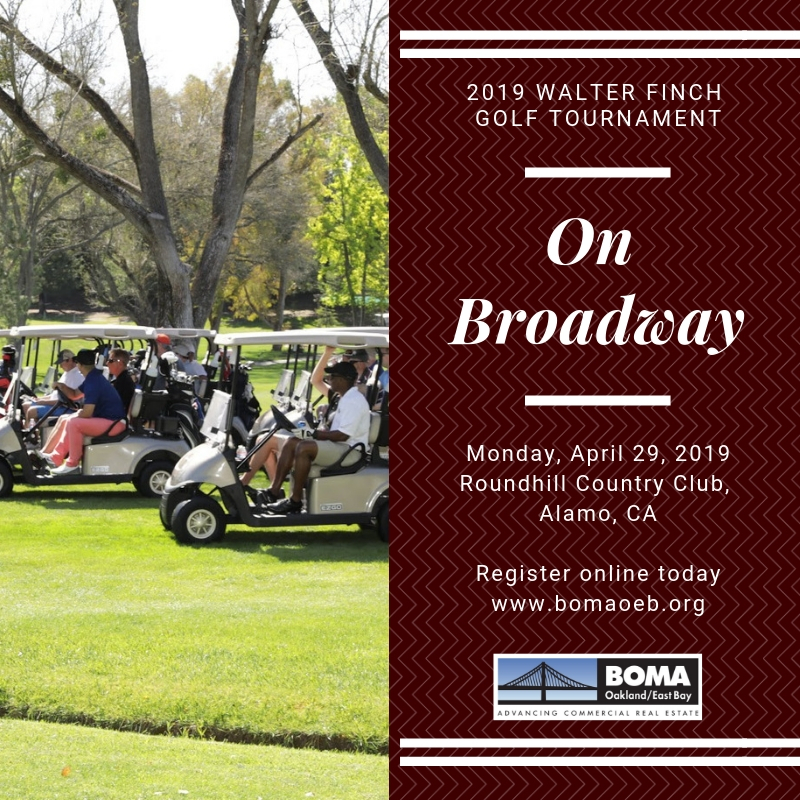 Register today for the 2019 Walter Finch Spring Golf Classic, this year our golfers will enjoy Broadway Shows. Food and Tee Hole sponsors will pick from a list of Broadway Shows to tailor their table, food, drink to that area of Oakland/East Bay show. BOMA OEB 2019 Partners get the first pick in priority of Platinum, Gold, Silver and Bronze. Sign up for hole sponsors now or fill out the form and email it to Noelle@bomaoeb.org . Food and beverages will be served at Tee Holes. Sponsors will have staff on designated holes. Sponsor signs are property of BOMA OEB, you’re welcome to take the insert but the overall sign will be reused by BOMA OEB at the next golf event.